Quirky is a lot like Kickstarter when it comes to turning an amateur inventor’s idea into an actual product—except there’s no disappointment and no broken promises. The company actually knows what it’s doing, which is why other companies like Mattel are teaming up with it so that anyone can now submit an idea for a new Barbie doll, a new Hot Wheels car, or even a new baby-friendly Fisher-Price toy. So what does this all mean for the average toy fan? If you’ve ever walked the aisles of Toys “R” Us and thought to yourself that you could do a better job at designing toys, now’s your chance to do just that. And it’s not just limited to Hot Wheels and Barbie. The partnership actually includes a wide range of Mattel brands participating like its BOOMco blasters, Thomas & Friends, Mega Bloks, and even the company’s board game line. 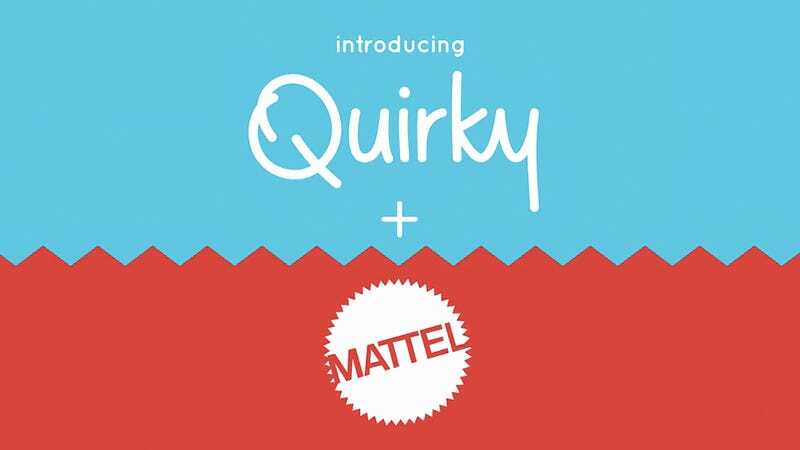 Using the Quirky website, amateur inventors can submit their ideas for new toys, or even just improved versions of existing toys, and there’s a chance that their creation might actually be put into production by Mattel. Have you always thought that Barbie would be even cooler with cybernetic enhancements? Now you have an even better chance of that idea becoming a reality.